I mm proud to announce that Jef for Oshkosh has received the endorsement of Fair Wisconsin. I wholeheartedly support their call for fairness for all of Wisconsin's families. 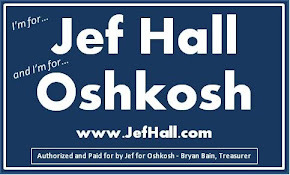 I am also proud to note that I am currently the only Oshkosh City candidate receiving their endorsement.